Building upon our many years of experience in providing life safety voice alarm systems for the nuclear industry, we are pleased to announce that PAVA Services have just started the installation of two satellite voice alarm systems for one of the country’s nuclear power stations. The first of the satellite systems will replace an ageing Millbank PA system which consists of four PAC240 amplifiers. These are driven from a 100V line input derived from the site’s main voice alarm system. The EN54 compliant replacement consists of an ASL Vipedia-12-net voice alarm router employing the same 100V input. A V2000 amplifier frame containing four D500, 500W amplifier modules, will be used to power the four existing loudspeaker circuits and two additional new circuits. The additional circuits will provide coverage of eight modular office buildings, and one of the site’s external muster areas. Since the existing loudspeaker circuits are being retained the Vipedia-12 has been configured for impedance monitoring of the loudspeaker circuits. The second satellite is a new system which aims to improve the coverage of the contractors’ compound area. It is similar to the Admin system by employing ASL’s Vipedia-12-net, a V2000 and four D500 amplifiers. However, since new loudspeaker circuits have been installed we opted to use DC line monitoring rather than impedance monitoring. DC monitoring relies on the detection of 10kΩ end of line resistors. As a result this technique provides improved accuracy in fault detection and speedier fault finding. The loudspeaker network in the contractors’ compound was designed to provide coverage of the outside areas only. An extensive survey determined that thirty Penton APH30T/ENC loudspeakers would be needed around the perimeter of the compound. In addition, a further six Penton APH20T/ENC loudspeakers act as ‘Fills’ to minimise dead spots. Commissioning tests confirmed that the design sound pressure level was achieved with a ±3dB variation across the selected test locations. 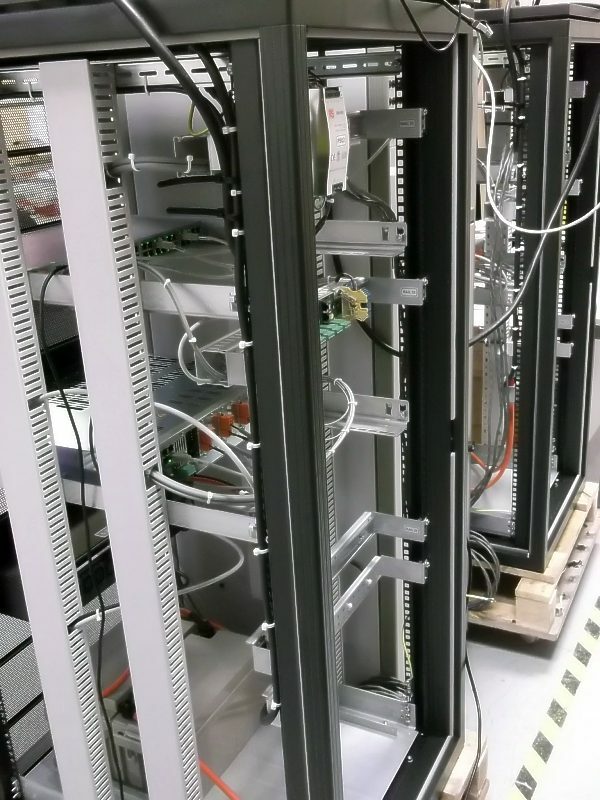 In the near future, the two systems will be networked together along with the site’s main voice alarm equipment rack.